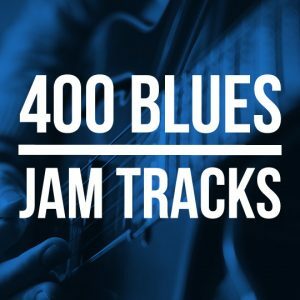 400 Blues Jam Tracks is a monstrous collection of 12 bar blues jam tracks. It comprises of 12 blues styles at three speeds – slow, mid and fast. But here’s you kicker, you get those 36 style and tempo variations in all 12 keys for the ultimate jamming versatility. That adds up to a epic 400 jam tracks! The key to developing rock solid timing and improving your speed is practicing with a metronome. 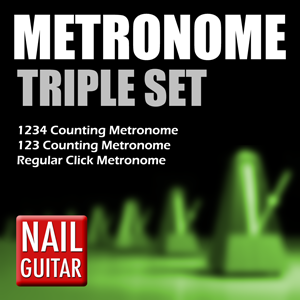 This pack includes 3 sets of digital MP3 tracks, 1 regular click metronome and 2 inovative counting metronomes. Download your free 3 track tester now! writing? 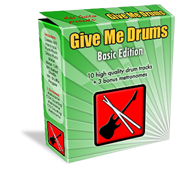 Give Me Drums is an awesome sound collection of 121 MP3 drum tracks that covers 10 music style. I created GMD because I was sick of seeing people wasting hundreds on lousy sounding drum machines. Download your free 13 track Basic Edition now! 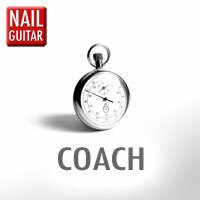 Im very excited to be soon releasing the awesome ‘Nail Guitar Coach’. ‘Coach’ is for guitarists what a personal trainer is to a world class athlete. It keeps you focused and drives you to get the greatest improvement possible from your time on the guitar. You’ve never seen anything like it! Ever wondered how I make those slick looking tab sheets for my lessons? 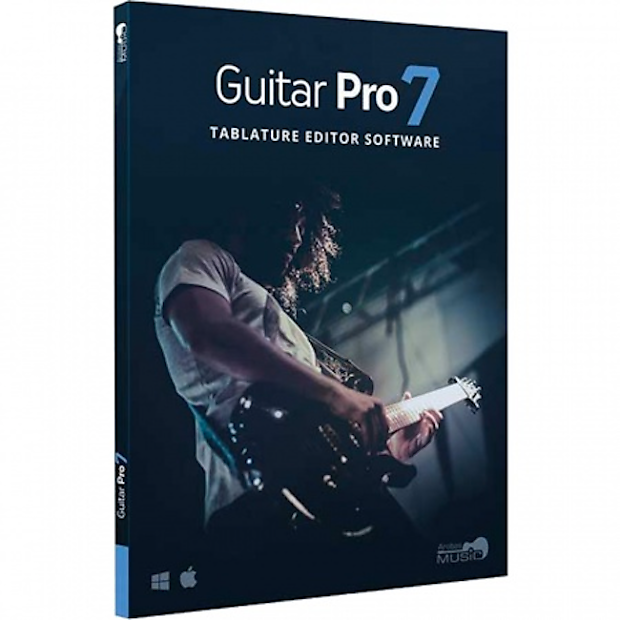 With Guitar Pro that is how! It’s moving cursor shows you exactly where you are in the music making learning a breeze. Sign up for free and recieve weekly tips & tricks lessons exclusive to VIP members! 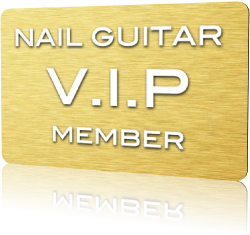 You will also get updates of new Youtube lessons and special offers, discount on Nail Guitar’s guitar training products.